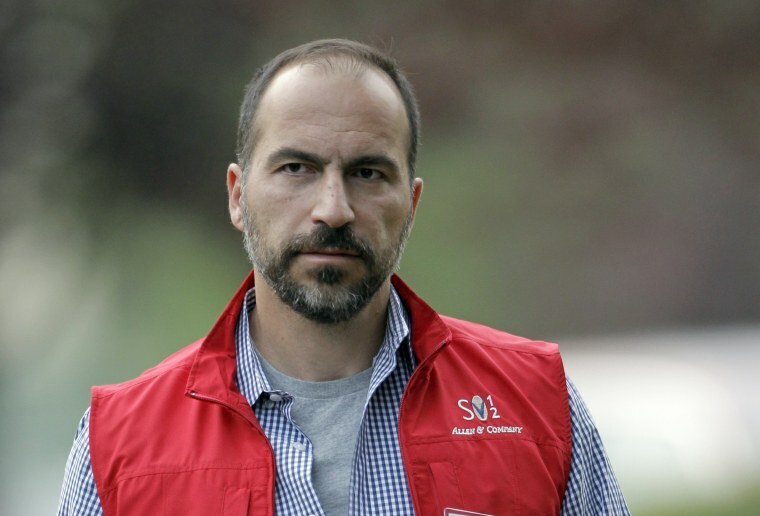 Expedia CEO Dara Khosrowshahi has the opportunity to step into one of the most high profile and least enviable jobs in Silicon Valley - that of Uber CEO. On Sunday, Uber's board voted to offer Khosrowshahi, 48, the position, more than two months after former Uber CEO Travis Kalanick quit under pressure from investors. Khosrowshahi, who has been CEO of Expedia since 2005, was a dark horse candidate, with former GE CEO Jeff Immelt and Hewlett Packard Enterprise CEO Meg Whitman both generating the bulk of the buzz before Sunday's surprise vote. If he accepts the position, Khosrowshahi will be tasked with helping Uber turn the page after a scandalous year, including workplace sexual harassment issues, mass firings and departures, and questions about its former CEO's management skills. While Kalanick's leadership was called into question, Uber will be getting an experienced CEO in bringing on Khosrowshahi. Under his tenure at Expedia, the company has kept up rapid growth, posting $72 billion in bookings last year. Technology CEOs usually fall into one of two categories: Those who have an engineering background and those who have a business background. Khosrowshahi, who has a degree in engineering from Brown University, has both. Prior to holding the top job at Expedia, he was CEO of IAC Travel, a portfolio of travel brands, which later spun off into Expedia. Before that, he was an executive at USA Networks for two years, and straight out of college, was an analyst at Allen & Co., a boutique New York City investment bank. Khosrowshahi was born in Tehran, Iran. His family left the country during the Iranian Revolution when he was 9 years old, according to Bloomberg Businessweek. The family settled in Tarrytown, New York. “My father had to go back to Iran to take care of his father when I was 13 and was detained for six years before returning. My mom was raising three kids without a dad," he told the magazine. Khosrowshahi has also been a steadfast critic of President Donald Trump. "Just a big thank you to our global employee base for an improved 2016 and certainly an improved end to the year. And hopefully we will all be alive to see the end of next year," he said in February during a call with investors. Earlier this month, he criticized President Trump's response to Charlottesville and tweeted a link to a New York Times story. Khosrowshahi is on the board of the media outlet.